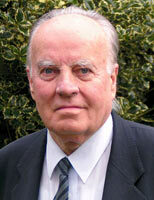 In 1997, Professor James Torrance gave four lectures on the theme ‘Prayer and the Triune God of Grace’, a theme beautifully articulated in his essay ‘The Place of Jesus Christ in Worship’ (published in Theological Foundations for Ministry, edited by Ray Anderson) and in his 1994 Didsbury Lectures (published as Worship, Community, and the Triune God of Grace), among other places. 4. Covenant God or Contract God: Is Prayer a Joy or a Burden? I posted the links to these just over 4 years ago, but those links are now dead, and a number of people have contacted me recently asking me to make them available again. So here they are, resurrected! So weak and frail am I. For You have prayed for me. And ever pray for me. My cry is not in vain. O teach me how to pray! And make my prayers Your own. That I may love like You. ‘Your sins are washed away. Which floods my heart with joy. In You alone, O Lord. Made holy by Your love.